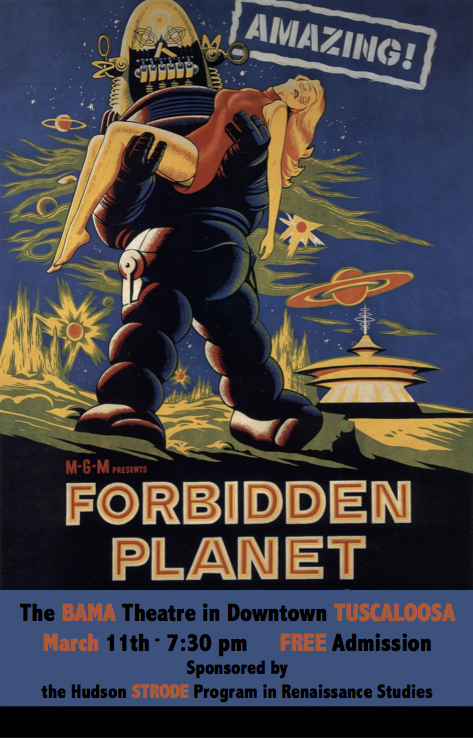 Join us this Wednesday, March 11th at 7:30pm in Tuscaloosa’s Bama Theatre for Forbidden Planet! The Tempest, one of Shakespeare’s final plays, is about Prospero, powerful magician and rightful Duke of Milan, and his teenage daughter Miranda, who have spent twelve years on an island after Prospero’s villainous brother Antonio (aided by Alonso, King of Naples) usurped his position and set him and Miranda adrift at sea. 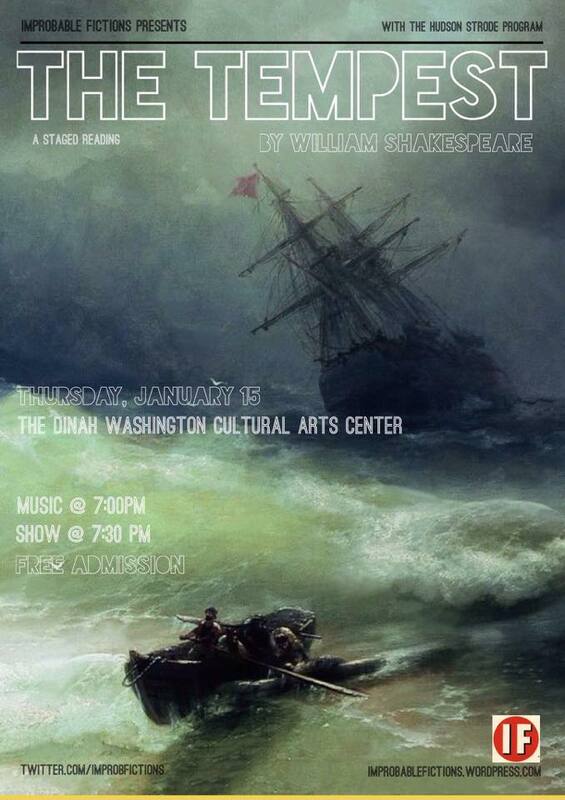 They are not the only inhabitants of the island: Prospero is served by the supernatural spirit Ariel and the monstrous, animalistic creature Caliban. When Prospero learns that his brother Antonio is passing close by the island on a ship, he conjures up a tempest to wreck the ship to bring Antonio and his retinue to the island. This retinue includes Prospero’s old and faithful servant Gonzalo, Antonio’s co-conspirator Alonso, and Alonso’s son Ferdinand. The shipwrecked characters explore the island, having various adventures and plotting intrigues, secretly observed by Prospero. Ferdinand meets and falls in love with Miranda, and her father (although secretly approving of the union) forces Ferdinand to become his servant to prove his worth and sincerity. In the end, Prospero brings all the main characters together in a scene of forgiveness and reconciliation, which culminates in Ferdinand and Miranda becoming engaged, Ariel being freed, and plans being made to return to Italy. Prospero resolves to bring an end to his magic: “I’ll break my staff…I’ll drown my book.” In this moment, Prospero is often read as representing Shakespeare himself, the playwright finally declaring an end to his glorious career as a master creator of theatrical magic. In recent decades, The Tempest has often been read as a play about European colonialism, with Ariel and Caliban as colonized natives. Alternatively, Caliban’s physical appetites (both sexual and bibulous) have caused some readers to identify him less with the oppressed colonial subject than with the repressed Freudian id, opening up the possibility of psychoanalytic interpretations. There have been many adaptations of The Tempest over the centuries, including The Tempest or, The Enchanted Island produced by John Dryden and William Davenant in 1670 and an operatic version by Thomas Shadwell in 1764. 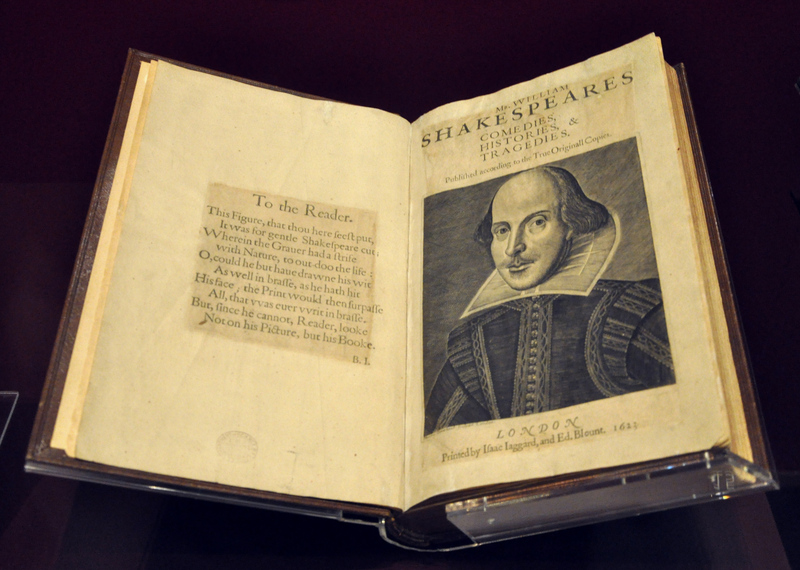 Shakespeare’s original text did not make a reappearance until William Charles Macready’s version of 1838. Adaptations continued in the 20th century, eventually making the move from stage to film. Fred M. Wilcox’s 1956 film adaptation Forbidden Planet is set on the extraterrestrial world of Altair IV, now colonized by humans, but formerly the home of the Krell, a now-extinct alien species. The film is the first to depict human beings travelling through interstellar space on a craft of their own making, and the first set entirely on another planet, in a remote solar system. The film’s equivalent of Shakespeare’s Ariel is Robby the Robot, and as a piece of technology rather than an enslaved spirit, he seems calculated to avoid inspiring any sense of guilt or distress in a 20th-century audience. He is a creation of the scientist Dr. Morbius (Walter Pidgeon), who rules Altair IV, whose intelligence has been enhanced to a superhuman level by an encounter with ancient Krell technology, and whose knowledge is beyond the comprehension of the other characters, who consist of the crew of starship C-57D, led by Commander John Adams (Leslie Nielsen). Ultimately, however, their suspicion that no individual human being, however intelligent, can be trusted with such power proves to be vindicated. Perhaps Forbidden Planet’s greatest innovation is its version of Caliban: a terrifying invisible beast that stalks the planet at night, hunting the crew of C-57D. The true origin of this monster is one of the film’s best surprises. Even though this origin depends upon a theory that Morbius describes as “obsolete,” it nevertheless neatly explains both the monster itself and the extinction of the ancient Krell, as well as evoking a major strand of critical interpretation of The Tempest. The conclusion of the film departs somewhat from that of its source-text, having some elements of tragedy, and being less about forgiveness and reconciliation than about the essential fallibility of human nature (and, as it turns out, alien nature as well). While in The Tempest, Sycorax’s magic is characterized as full of “earthy and abhorred commands” in contrast to the good magic of Prospero, in Forbidden Planet, the super-science of Morbius turns out to encompass both halves of this dichotomy. 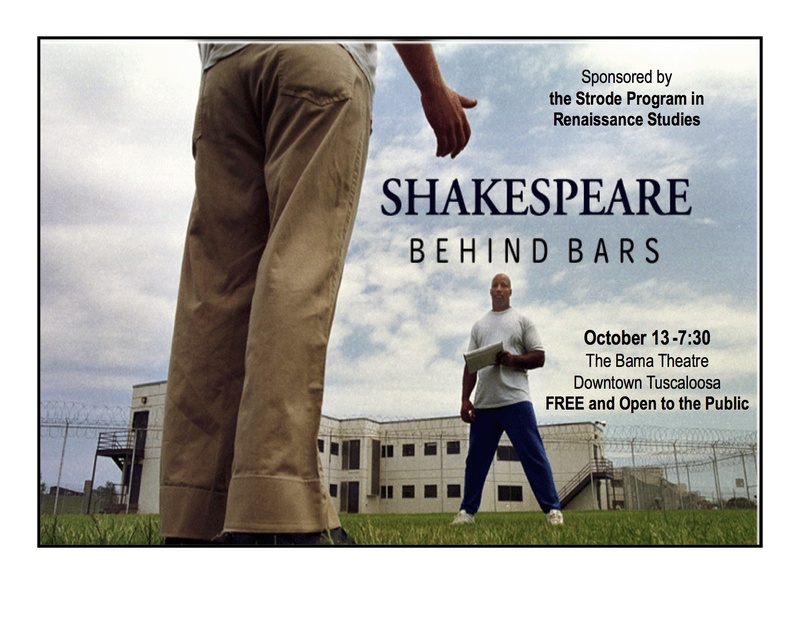 All films are free and open to the public. “YouTube Shakespeare” (EN 408) is a study of adaptation and appropriation of Shakespeare, in which you will address a play text, The Tempest, three film versions—*Forbidden Planet*, *Prospero’s Books*, and *The Tempest* (Taymor 2010)—and multiple You Tube versions of the play. In support of the text, the films, and the videos, we will read theory and criticism on adaptation and appropriation, beginning with a consideration of Susan Orlean’s *The Orchid Thief* (1998) and the film into which it was made, Spike Jonze’s *Adaptation* (2002), which was based on Charlie Kaufman’s screenplay. Your work for the interim term will be to create a video adaptation of *The Tempest* of at least five minutes’ length. You will work in teams, and be responsible, if necessary, for appearing in your classmates’ videos. You will spend a good deal of time in the Gorgas multi-media center. Texts: William Shakespeare, *The Tempest*; Fred Wilcox, *Forbidden Planet*; Peter Greenaway, *The Tempest*; Julie Taymor, *The Tempest*. Susan Orlean, *The Orchid Thief*; Spike Jonze, *Adaptation*; Charlie Kaufman, *Adaptation*. Selected articles about adaptation and appropriation, available in Gorgas reserves. EN 408 has prerequisites. If you wish to take this course and have not fulfilled the prerequisites, please contact either Professor O’Dair (sodair@bama.ua.edu) or the Director of Undergraduate Studies, Professor John Burke (jburke@english.as.ua.edu). We may be able to help you enroll!